In an 11 a.m. update, the National Hurricane Center said Kirk was 450 miles (724 kilometers) south of the Cabo Verde Islands, moving west at 14 mph (22.5 kph) with maximum sustained winds near 40 mph (64 kph). Tropical-storm-force winds extend outward from the center up to 35 miles (56 kilometers) to the northwest. 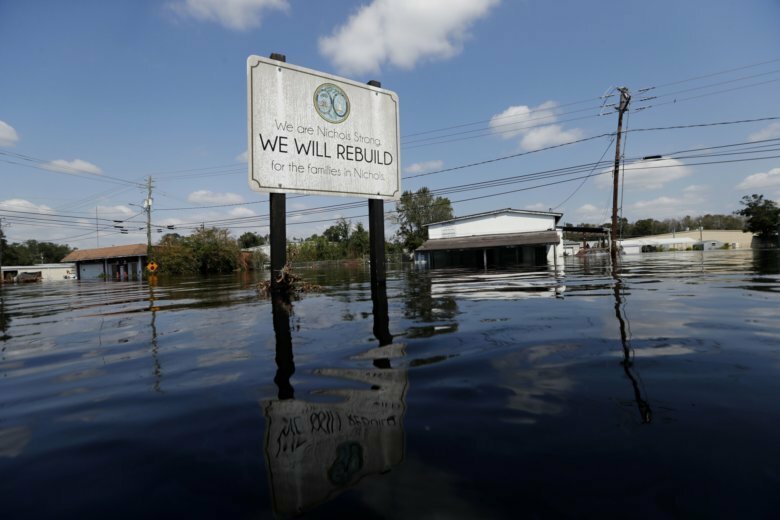 A North Carolina town inundated by river water after a levee breached is among the latest towns to feel the life-threatening punch of Hurricane Florence. Benetta White and David Lloyd slogged through waist-deep water to escape when Cape Fear River water came pouring into their yard late Thursday. They got in a friend’s pickup and were eventually driven out on a military vehicle. They were among 100 people evacuated with helicopters, boats and high-wheeled military vehicles during a six-hour rescue operation in southeastern North Carolina’s Bladen County that lasted into Friday morning. Officials in North and South Carolina warn that the flooding danger is far from over, with South Carolina ordering evacuations there as rivers rise. At least 43 people have died since the hurricane slammed into the coast more than a week ago.